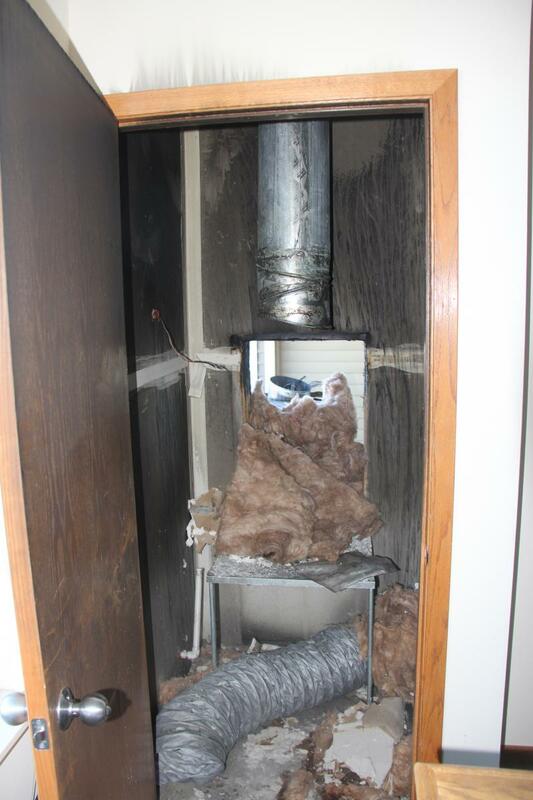 A fire that broke out in the furnace utility room of a west side apartment was kept in check thanks to an automatic fire sprinkler. Nobody was home when multiple passersby began seeing flames outside the Stone Creek Apartments along Maple Grove Road. Ladder Company 7, Engine Company 7, and other fire crews arrived on scene at 2:32 p.m. to find fire on the exterior of the building, near a second-story balcony. Ladder Company 7 knocked down the exterior fire, and other crews went inside to investigate whether that fire extended to the inside. That’s when they learned an automatic fire sprinkler located inside the utility closet had activated, keeping the fire from spreading into the apartment and containing damage to that room. All occupants except those in the affected unit and the unit directly below it are able to return home. There were no injuries. Early estimates place damages at $25,000. - Interior view of furnace utility closet. 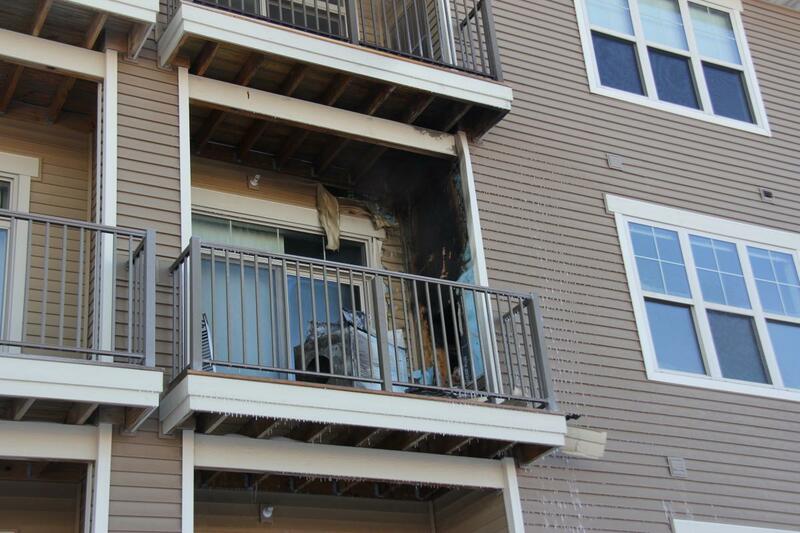 Note that damage is contained to this room, with no smoke or flame damage extended to the inside of the apartment, thanks to a working automatic fire sprinkler.